ALL LINKS WILL OPEN IN A NEW WINDOW! Sebastian very kindly gave permission to use the track "Shut Up & Sleep with Me" on my latest Youtube Video. Please pop over to the site and have a look around... there is plenty of news, and a great shop... and if, like me, you like the music, it's available to buy on ITunes! Harrizon is very keen to ensure that Impromptu & Street Hypnosis is only performed legally and safely. If you feel the same, please join this group. Written under Harrizon's birth-name of Stuart Cassels and with input from Psychological Magic Advisor Jonathan Royle, this has been hailed by some as one of the best ACAAN / Any Card At Any Number / Berglas Effects currently available. Now published as an E-book, with plenty of ideas & bonus effects. A Must for any Mentalist & serious Card Worker. A great directory of free links! Want your site linked to from here? 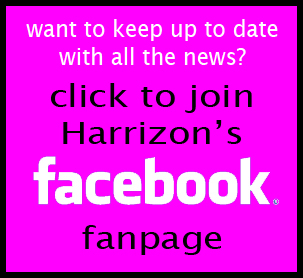 Then just email mail@harrizon.com with a good enough reason, and the promise of your undying love (or a gift!) and we will do our best!